Since designing a video game at age 12 that he sold for $500, Elon Musk has become a modern day renaissance man with a staggering $12.6 billion net worth. Akin to Leonardo da Vinci, who was also talented in multiple disciplines, Mr. Musk has developed an impressive number of incredible innovations across a variety of fields. At age 24, after spending just two days at Stanford’s graduate physicals program, Mr. Musk dropped out and went on to create Zip2, an online publishing platform for the media industry that he sold to Compaq for over $300 million just four years later. A year after the sale, Mr. Musk merged his online payments startup known as X.com with another startup called Confinity. Together, the companies became what we know today as PayPal. 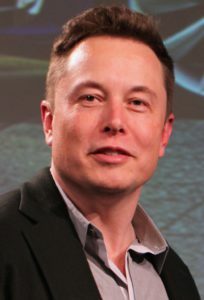 After revolutionizing the way individuals and companies do business, Mr. Musk seemingly turned his attention away from “smaller” projects to focus on revolutionizing life itself. First, he founded SpaceX in 2002 to manufacture and launch advanced rockets with the aim of enabling humans to live on other planets. Just 10 years later, the SpaceX Dragon became the first commercial spacecraft to dock with the International Space Station. By 2022, Mr. Musk hopes to launch a test rocket for an unprecedented exploratory mission to Mars. If all goes well, he hopes to launch the first crewed mission to Mars in human history in 2024 and deliver colonists to the Red Planet by the early 2030s at the latest. At the same time that he’s been looking into the stars, Mr. Musk has been equally busy back on Earth. As co-founder, CEO, and product designer of Tesla Motors, Mr. Musk envisioned a car every bit as fast and powerful as its traditional counterparts, but one that would produce zero emissions by running completely on electric power. Tesla’s Model S can run 265 miles on just one electric charge. By comparison, Nissan’s Leaf, also a fully electric car, can only run 75 miles on one charge. Having put over 50,000 emission-free vehicles on the road since its founding in 2003, Tesla Motors has served as an industry leader from its inception. But Mr. Musk’s interest in clean and efficient transportation did not end with cars. In 2013, he unveiled his idea for the Hyperloop, a new age transportation system that will propel people across cities at near supersonic speeds. By pushing and pulling the surrounding air, Hyperloop pods will be able to move at 760 miles per hour, three times faster than the fastest high-speed train, by avoiding the friction that comes with wheels. Though some were initially skeptical when Mr. Musk announced the idea, in less than three years this technological dream is already becoming a reality. In addition to his efforts to reduce carbon emissions during travel, Mr. Musk has also worked to create sources of clean energy. By helping to create Solar City, Mr. Musk helped thousands of buildings power themselves through renewable solar energy.